I love coffee. I always look forward to waking up to the smell of coffee every morning. The inviting scent of coffee is the first highlight of the day in our family---pretty much the same way I was brought up in. The coffee aroma in the morning brightens my mood and sipping into my milky cup makes me feel ready to face the day. Sharing coffee with the family over hot pandesal is part of my treasured childhood memories. Coffee has always been an indispensable component of our breakfast, midday snacks, after-meals and nightcaps. We often had guests, and relatives visiting on weekends when I was growing up, and my mother would offer them coffee as soon as they walked through the door. Entertaining then was synonymous with serving hot coffee. The "takure" was the star of our kitchen---always teeming with hot coffee to spark conversations. This aromatic drink was our connection with family and friends. Once, coffee is served, conversations on life, dreams and family begin. More than the caffeine fix, coffee was central in our lives and in the Filipino culture. In fact, the most important conversations in our lives happen over a cup of coffee. It is true that coffee and conversations make sense. What drives us to be positive about what life throws at us is the fact that we share our struggles and setbacks with our Filipino brothers and sisters. Swirls of thoughts in our heads often do clear out when we speak our troubles aloud. And the attention of a loving witness help make the intangible more tangible. With it, I am able to find the words to describe my feelings and emotions. Other times, it helps me understand situations in a more linear way. Knowing that we have someone to emphatize with us somewhat makes our loads lighter and our bond stronger with them. Burdens are lighter when there is compassion Our life’s journey becomes easier with our “KARAMAY sa BUHAY” by our side and coffee often plays this integral role. “NASH masarap ang buhay kapag NASH ang karamay” and this is the NASH culture that I so love! Somedays, coffee really is the only thing that I need to stay focused and go on accomplishing my dreams and goals. It keeps me energized for the rest of the day. I find comfort in knowing that someone is unquestionably on my side. That is a great healing. NASH Coffee retails at P 4.75 and offers three variants that has become part of our daily lives--- Nash Aroma, Nash White and Nash Brown. Each variant has the right mix of coffee and sweetness that is right for each time of the day. 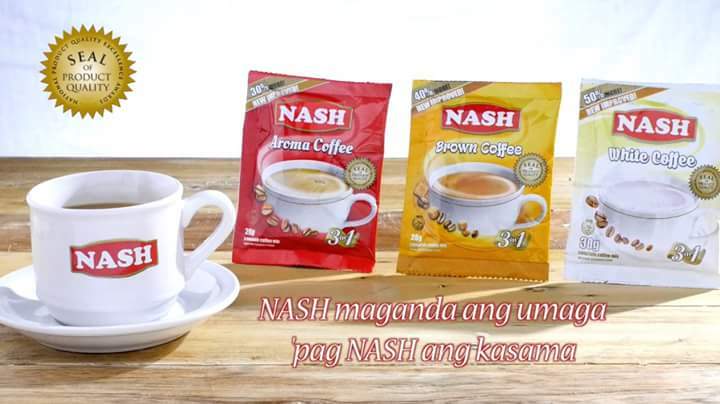 Nash Brown Coffee has that caramel taste to help you get started in the morning, while Nash White has sweet taste more than the caramel taste of Brown Coffee that is perfect to cap off every meal. 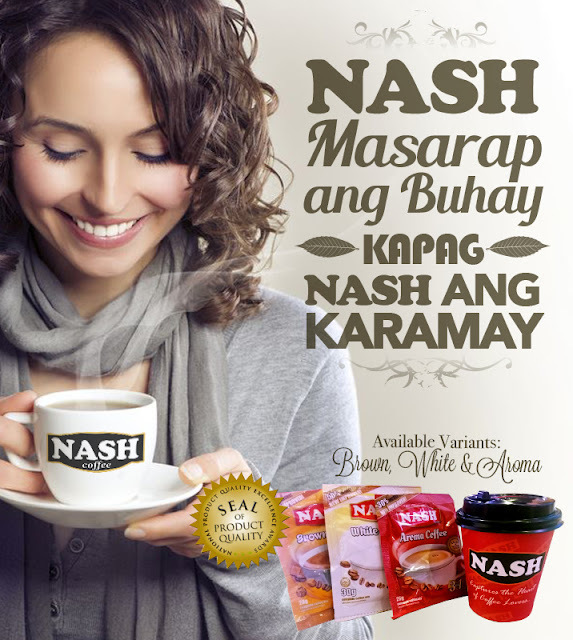 Those who needed a boost later in the day can on a regular cup of Nash Aroma coffee. The new NASH Coffee has got you covered! Revel in joy knowing that NASH Coffee is with you through it all. Hi po! Di ko po makita LIKE button dito? Thanks! Wow! Very affordable for only 4.75 pesos. I'm no longer allowed to drink a coffee but I want to try this just for once. Thanks! Coffee is a part of most of our lives. I like the Karamay sa buhay campaign.